The theme of the next season of American Horror Story‘s seventh season isn’t a mystery any longer. Creator and producer Ryan Murphy just revealed the theme during a guest spot on Watch What Happens Live with Andy Cohen. According to Murphy, season seven of the show will be based on the 2016 election cycle. What could be scarier than that? Murphy was on the show promoting his new FX series Feud: Bette and Joan about Joan Crawford, played by Jessica Lange (an American Horror Story alum), and Bette Davis, played by Susan Sarandon (Thelma & Louise) during the filming of the Academy Award-winning film What Ever Happened to Baby Jane? Previous seasons of American Horror Story have included Murder House, Asylum, Coven, Freak Show, Hotel and Roanoke. 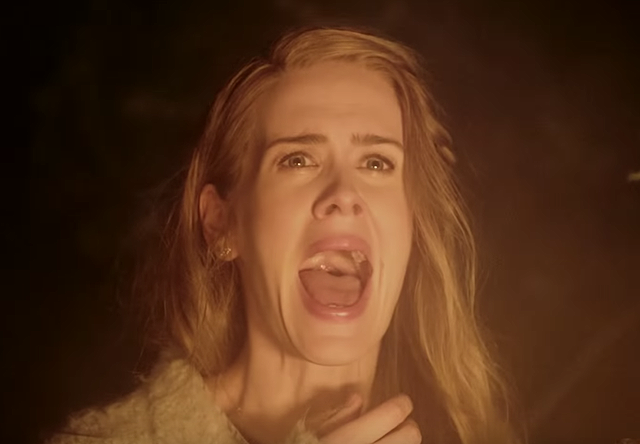 American Horror Story was renewed for two more seasons back in January. The series has a number of recurring actors between seasons and Sarah Paulson (The People v. O.J. Simpson: American Crime Story) and Evan Peters (X-Men: Days of Future Past) have already been confirmed to return. If there does end up being a Donald Trump-based character in Season 7, who would you like to see play him? Would it be any of the recurring actors from earlier seasons? Let us know your thoughts on who should get the role in the comments or tweet us @comingsoonnet. Watch the video from Watch What Happens Live below.